The high priest “Wahtye” served during the Fifth Dynasty reign of King Neferirkare (between 2500-2300 BC), at the Saqqara necropolis in Egypt. In addition to the name of the deceased, hieroglyphs carved into the stone above the tomb’s door reveal his multiple titles. The grave’s rectangular gallery is said to be covered in painted reliefs, sculptures, and inscriptions, all in excellent shape considering how much time has passed. The reliefs depict Wahtye himself, his wife Weret Ptah, and his mother Merit Meen, as well as everyday activities that include hunting and sailing and manufacturing goods such as pottery, according to National Geographic. The team of Egyptian archaeologists found five shafts in the tombs. They had removed a last layer of debris from the tomb on December 13, 2018, and found five shafts inside, Waziri said. One of the shafts was unsealed with nothing inside, but the other four were sealed. They are expecting to make discoveries when they excavate those shafts. He was hopeful about one shaft in particular. The tomb is 33 feet long, 9 feet wide, and just under 10 feet high, Waziri said. Various drawings depict “the manufacturing of pottery and wine, making religious offering, musical performances, boats sailing, the manufacturing of the funerary furniture, and hunting,” according to the site Egypt Today. 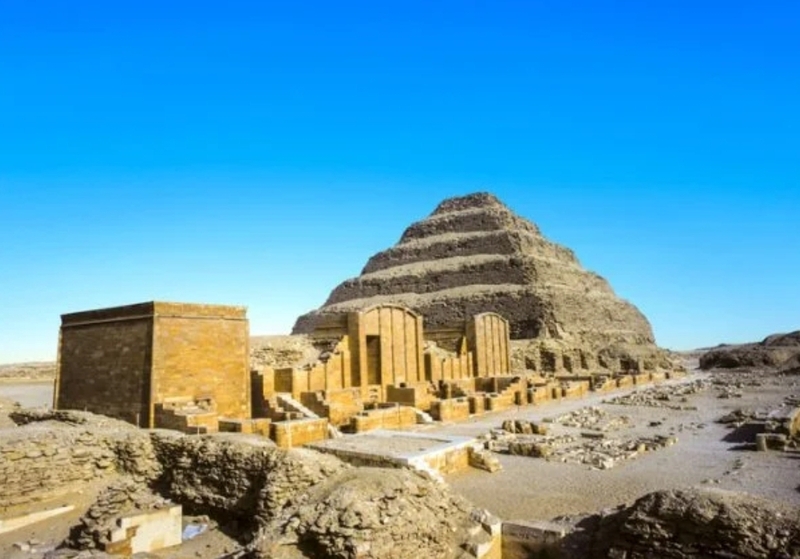 Also NPR is reporting that the Saqqara site is part of a larger complex where archaeologists have discovered art and architecture that yield insight into daily life in ancient Egypt. 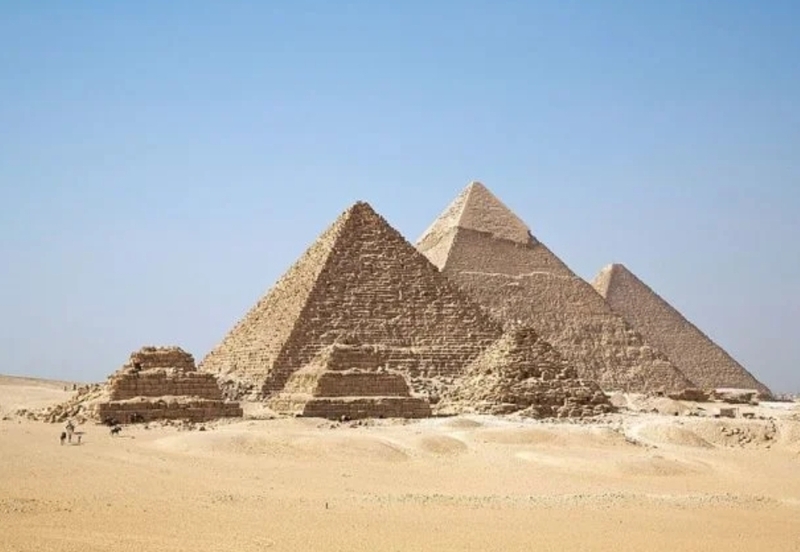 The Fifth Dynasty ruled Egypt from about 2500 BC to 2350 BC, not long after the great pyramid of Giza was constructed. 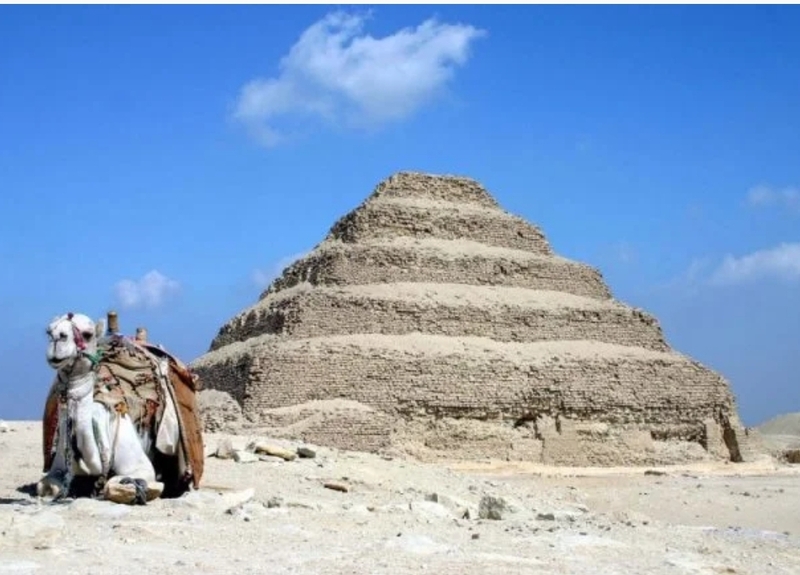 Saqqara served as the necropolis for Memphis, the capital of ancient Egypt for over 2 millennia. Ancient Egyptians mummified humans to preserve their bodies for the afterlife, and animal mummies were used as religious offerings. The rate of discoveries seems to be increasing. 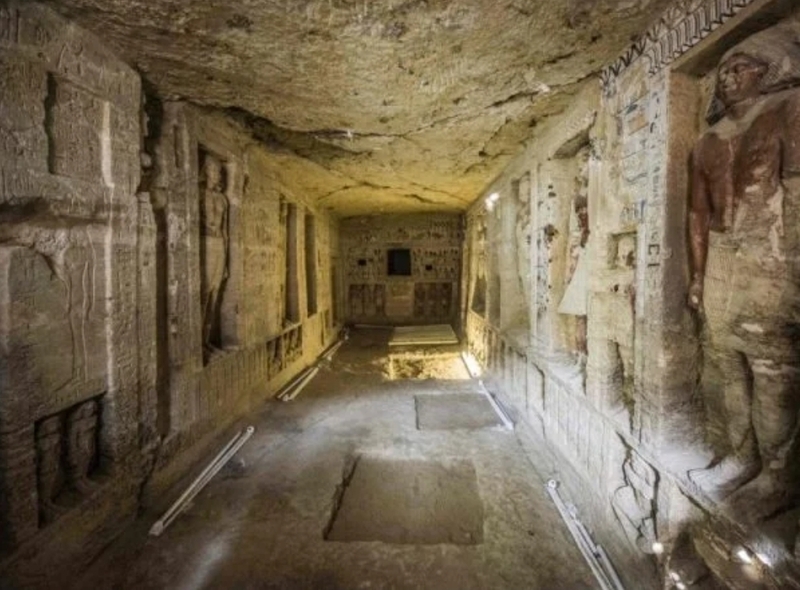 In November 2018, archaeologists unearthed eight new limestone sarcophagi containing mummies at a site that is 25 miles south of Cairo. 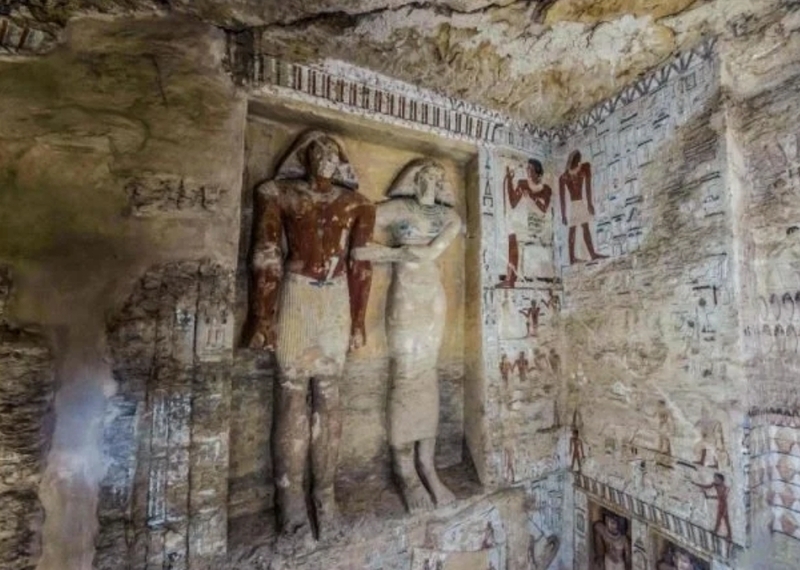 Egypt’s Antiquities Ministry said the mummies were dated to the Late Period (664-332 BC) and have an outer layer of cartonnage — papyrus or linen which is covered in plaster — decorated with a painted human form. Three of the mummies are well-preserved. Images show the sarcophagus painted with the colors deep ochre and blue. Moreover, days before the eight mummies were found, the perfectly-preserved mummy of a woman was found inside a coffin in Egypt dating back more than 3,000 years. That sarcophagus was opened on November 24th, which was one of two coffins discovered in El-Assasif, Luxor, on the bank of the Nile.